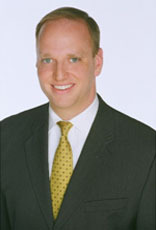 A 2001 graduate of St. Louis University School of Law, David Ahlheim is a partner in the civil defense litigation law firm, Childress Ahlheim Cary LLC. David’s practice focuses on representation of clients involved in all aspects of claims and litigation from incident through jury trial and appeals. His areas of representation include insurance coverage, business litigation, premises and automotive liability, products liability, construction liability and class action liability. David’s practice has enabled him to handle matters in Circuit Courts, U.S. District Courts and the Court of Appeals throughout Missouri, Illinois and multiple arguments before the Eighth Circuit Court of Appeals. David has been recognized by Missouri Lawyers Weekly as top five defense verdicts in 2013. Following a bench trial in the City of St. Louis in 2015, David also received a judgment determining no insurance coverage for his client arising from a $11,000,000 judgment – one of the largest in 2014 as recognized by Missouri Lawyers Weekly. In 2016, he received a judgment for an insurer for over $3,000,000 arising from an order of coverage issue in U.S. District Court. David is a member of the Missouri Bar, Illinois State Bar Association, St. Louis County Bar Association, Lawyers Association of St. Louis, Missouri Organization of Defense Lawyers (MODL), and Defense Research Institute (DRI). On multiple occasions, he has been a featured speaker for National Business Institute and to multiple insurance carriers and insurance claims handlers.